This week we're having fun collecting bugs so I thought we'd share a few bug crafts and activities. 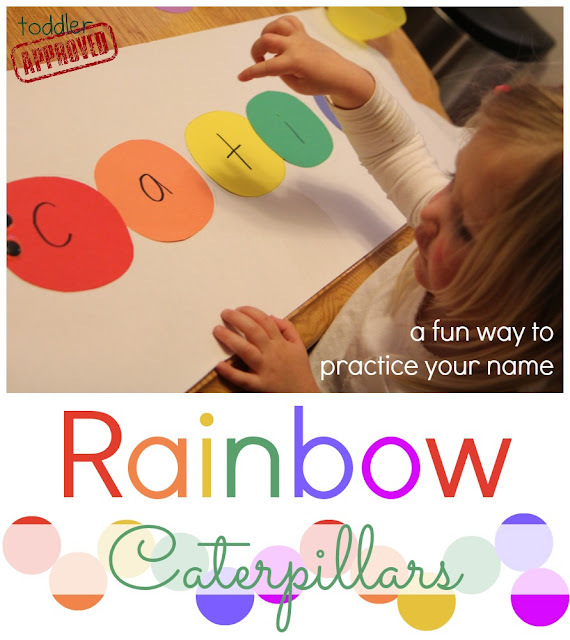 Since toddlers and preschoolers love to match things and love their names, we decided to make some Rainbow Caterpillars using our names. Although I love creating and displaying arts and crafts projects, my kids typically love activities more than crafts. This project is kind of a combination of the two and my kids really enjoyed it. 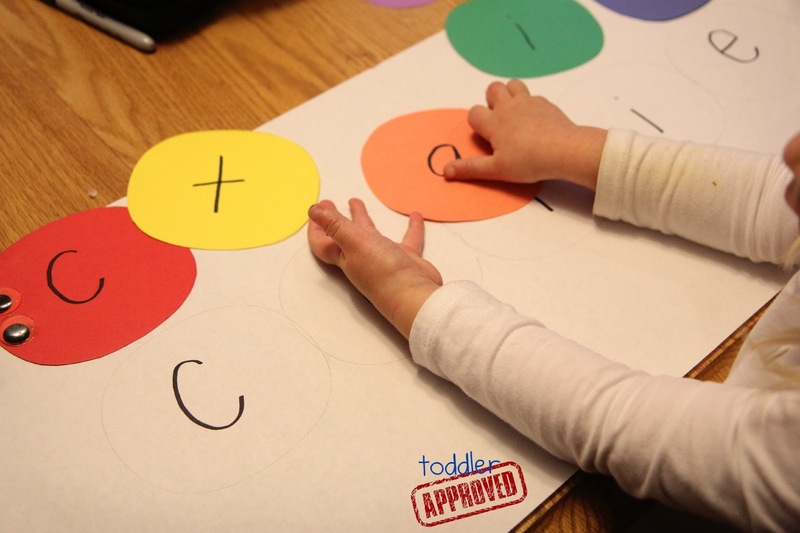 First I cut out a bunch of circles/ovals using rainbow colored cardstock and then I traced the circles onto long white drawing paper so that there were enough circles for each of my kid's names. Next time I will have my 5 year old cut out and draw his own circles. 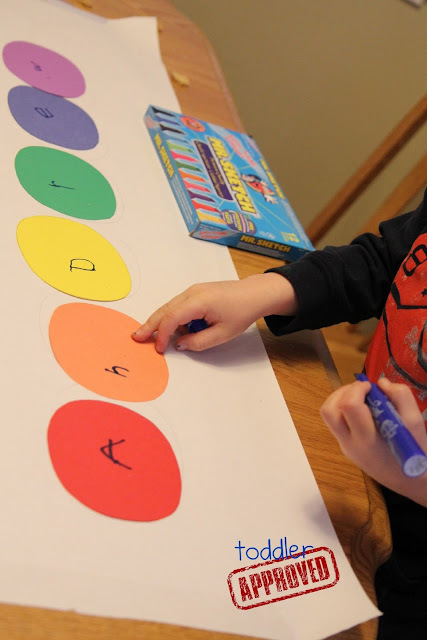 Once the colored ovals were cut, my son arranged them in rainbow colored order and then began writing the letters of his name on each oval. My toddler is just learning how to recognize and spell her name, so I wrote the letters in her name on her caterpillar oval pieces and we talked about each letter and what they spelled when put together. I wrote the letters of her name on each colored oval and then I also wrote her name on the traced circles on the drawing paper. After she played with her circles a bit, then she practiced matching the letters of her name (on the ovals) to the letters of her name on the drawing paper. She also added googly eyes and antennae (we kept the feet off for this activity) and had fun making her name again and again. 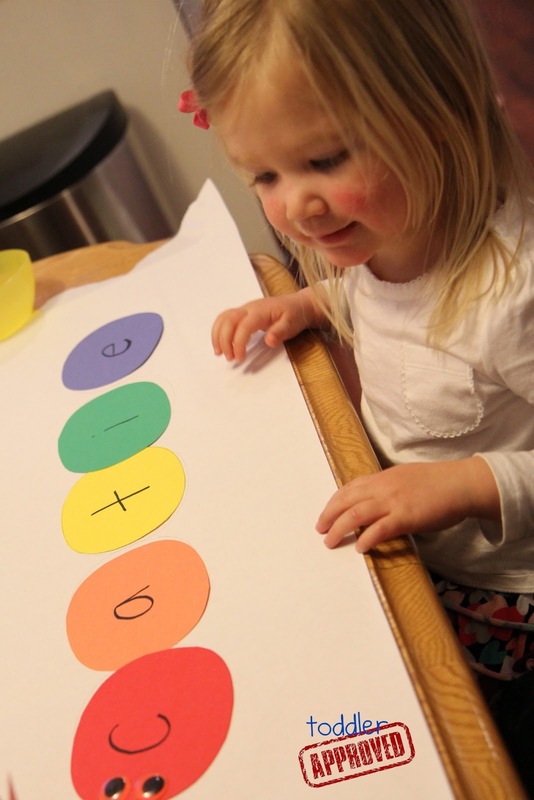 Simple activities that can be repeated are always a hit at our house. You may want to laminate your caterpillar pieces so that they are more durable. This is so cute! I love that spelling the word created a caterpillar! I love this T and I have been having a go at this and we're getting there Name recognition isn't high on her list of what she wants to do at the moment.